(PTI) Trade ministers of RCEP member countries, including India and China, will hold a crucial meeting in Singapore on August 30-31, an official said. The meeting is important as the 16-member bloc now needs specific political guidance to move the negotiations further, the official added. 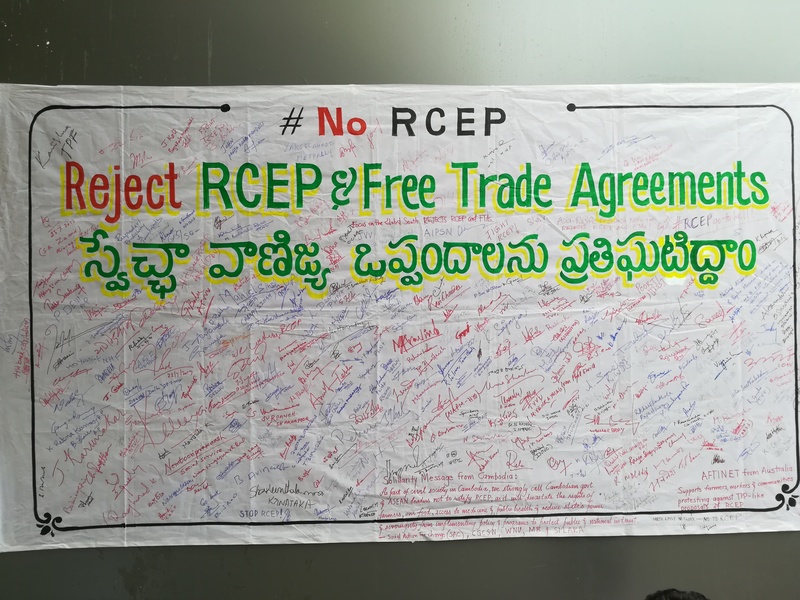 RCEP mega trade pact aims to cover goods, services, investments, economic and technical cooperation, competition and intellectual property rights. The Regional Comprehensive Economic Partnership bloc comprises 10 Asean members (Brunei, Cambodia, Indonesia, Malaysia, Myanmar, Singapore, Thailand, the Philippines, Laos and Vietnam) and their six FTA partners - India, China, Japan, South Korea, Australia and New Zealand. The meeting also assumes significance as the member countries are not moving at a healthy pace even as the negotiation for the deal started in November 2012. The 23rd round of the negotiation was recently concluded without much progress in Bangkok. India is also holding comprehensive stakeholder consultations with industry as well as different ministries and departments on the pact as the grouping includes China, with which India has a huge trade deficit. Sectors including textiles, steel and food processing have raised serious objections over removal or significant reduction of customs duties on these items under the pact. They want these segments to be out of the purview of RCEP. They have apprehensions that removal of duties would led to flooding of Chinese goods in the Indian market. But without any free trade agreement, India has a trade deficit of $63.12 billion in 2017-18 with China as compared to $51.11 billion in the previous year. An informal group of ministers, headed by Commerce and Industry Minister Suresh Prabhu, is also holding deliberations on the concerns of the industry. Pressure is mounting on India for early conclusion of the negotiation despite the fact that no member is showing flexibility in its stand. Former Commerce Secretary Rita Teaotia has recently said the mega trade deal would be incomplete if the norms to promote services sector are not sufficiently liberalised by the member countries. RCEP members want India to eliminate or significantly reduce customs duties on maximum number of goods it traded globally. India’s huge domestic market provides immense opportunity of exports for RCEP countries. But lower level of ambitions in services and investments, a key area of interest for India, does not augur well for the agreement that seeks to be comprehensive in nature. Of the RCEP nations, India has trade deficit with as many as 10 countries, including China, South Korea and Australia, among others. Some experts have warned over the impact of RCEP agreement on India’s trade. Biswajit Dhar, a professor at Jawaharlal Nehru University is of the view that India should be very cautious about this pact. He believes that with the kind of market access and tariff cuts RCEP countries are demanding including in agriculture sector, it would be difficult for India to sustain in the long run. India wants certain deviations for such countries. Under deviations, India may propose a longer duration for either reduction or elimination of import duties for such countries. Under services, India wants greater market access for its professionals in the proposed agreement. India wants to have a balanced RECP trade agreement as it would cover 40 per cent of the global GDP and over 42 per cent of the world’s population. India already has a free trade pact with Association of South East Asian Nations (Asean), Japan and South Korea. It is also negotiating a similar agreement with Australia and New Zealand but has no such plans for China.